At yesterday’s Agvantage Toastmaster meeting, I was the Table Topicsmaster. This is my favorite portion of the club meeting, and I welcome the opportunity to practice thinking and speaking quickly. As Topicsmaster, I announced the topic and called on members, one at a time, to give impromptu one- to two-minute talks. With Halloween just around the corner, I created a series of questions using the holiday as a theme. 1. Design the Halloween costume of your dreams. 2. I am sending you back to the Halloween of your sixteenth year. What type of costume would you wear? 3. Decorate your workplace for Halloween. 4. Organize a Halloween party for the children in your neighborhood. 5. There is a lot of waste at Halloween. 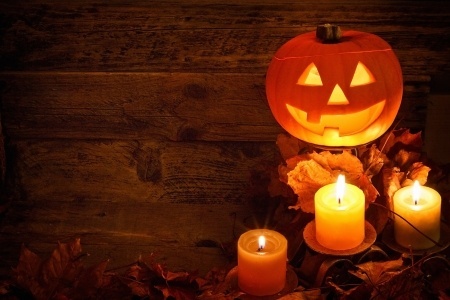 How would you make Halloween greener? 6. Throw a Halloween brunch for your friends. 7. You have decided to cruise the streets on Halloween night. How would you decorate yourself and your car (motorcycle)? 8. Provide healthy treats for the children on Halloween night. 9. Create the perfect Halloween bash for you and your friends. 10. Create a Halloween wonderland on your lawn (if you live in a house) or lobby (if you live in an apartment). 11. Decorate your child’s classroom or daycare center for Halloween. 12. I am sending you back to your first Halloween. What type of costume would you wear? 13. I am allowing you and your partner to skip Halloween and have a spectacular date night instead. What would you do? 14. Make your street safer for Halloween. 15. Dress up as your favorite superhero or celebrity. This entry was posted in Holiday, Toastmasters and tagged Joanne Guidoccio, Table Topics. Bookmark the permalink.